Four quarterly newsletters, "The Streak"
Attend club events at a reduced price. The club typically has at least 2-3 events and a holiday party each year. Beech Bend - Show your active club card and your personal ID to receive $10 off the Unlimited Rides and Slides Armband. Carowinds -Show your active club card to receive $20 off of General Admission. Not valid during SCarowinds and WinterFest. Central Park Fun-Land - 50% off of any wristband. Tell a Guest Service Team Member they wish to purchase the Coaster Enthusiasts Deal. The member's current membership card must be presented. Six Flags Darian Lake - Discounted Season Passes for $59.99 or One Day Tickets for $29.99 when purchased online at our special link. Delgrossos - Buy an All Day Fun Pass for $16.95 in May and September and $21.95 in June, July and August. Each member may purchase a pass for themselves and 1 guest. To get the discount, you must visit the Main Park Office (NOT the regular ticket booths) and show your active club membership card. Adult purchasers may be asked to show a matching photo ID. Dollywood - Go to Guest Services and show them your active club card to receive $5 off admission. Only good for the card holder and can not be combined with other offers. Family Kingdom - Go to the park office under swamp fox and show your club card to receive a $16.66 wristband. The unlimited ride wristband does not include our go cart tracks, the trampoline, the zip line or the Splashes Water Park. You will need to go to our park office located under the Swamp Fox Roller Coaster and present your membership card to purchase the wristband at the discounted rate. Each member may include ONE non-member guest at this special rate. Fantasy Island - One Day Ticket $21.99 and Season Passes $34.99 when purchased online at a special link. Indiana Beach - Purchase discounted tickets online - Adult (48 inch and up) for $33.75, Child under 48" for $22.50, Senior (Age 60+) for $18.75. Season pass discounts also available, and will vary thru the year. Tickets must be purtchased at a special link. Lake Rudolph Campground & RV Resort - 10% off posted rates (20% during Holiwood Nights). Valid May 1st to September 13, 2019. Reservations are required. Please call us at 1-888-929-7010. When making your reservation please inform us that you’re a card-carrying member of a Holiday World partner club. You must present your unexpired membership card at check in. Memphis Kiddie Park - Present your active club card to receive 1 free ride ticket. Pronto Pup at Indiana Beach - Show your GOCC Membership Card for a 10% discount. Waldameer - Purchase a Combo Pass online for $31.50 using the special promo code when purchase online. That's a savings of $10.00. Additional benefits for 2019 will be posted in our membership Park Perks page as they are received. Members will need to log in to the website to see those listings, and associated discount codes. *These benefits and discounts have been graciously offered by the parks to members of the Great Ohio Coaster Club, Inc., but are not considered guaranteed benefits of GOCC membership. Parks may change or revoke these offers at any time, and with no notice. We encourage members to confirm specific park benefits prior to traveling. The sharing of any discount information, including discount codes, with non-members is a violation of the GOCC Membership Code of Conduct and will be subject to disciplinary action. Note that inclusion in this section does not constitute an endorsement or advertisement for the park by the Great Ohio Coaster Club, its Officers or its Members. The Great Ohio Coaster Club offers two options for our membership types. Those preferring an electronic-only edition of The Streak may join using an Electronic Edition type. If you would like a printed edition of The Streak mailed to you, join using a Printed Edition type (you will also have access to the electronic editions). Aside from receiving The Streak electronically versus a printed edition in the mail, all membership benefits remain the same. 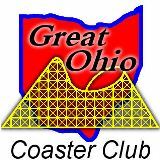 Read the Great Ohio Coaster Club Bylaws here. For Easy Online Registration select the correct membership type from the dropdown menu below, fill out the online registration form and follow the onscreen prompts. Those residing in Canada may get to our special Canadian Join page we created just for you by clicking the link on the right side of the screen. For those who prefer to mail in their membership, Download our Membership application, Fill it out, and Send the completed membership application along with your payment to the Membership Director. If you lost your membership card and need a replacement, it will cost $5.00 for a processing and mailing fee and are available by Clicking Here. Or, you can renew your membership, extending it another year and we will send you a new card at no extra charge. Need a last minute gift? GOCC Gift Memberships are the Pefect Anytime Gift! ... We will keep your secret until the date you specify, and immediately provide you with a Gift Membership Certificate to give your recipient. To get to our Gift Membership form Click Here!